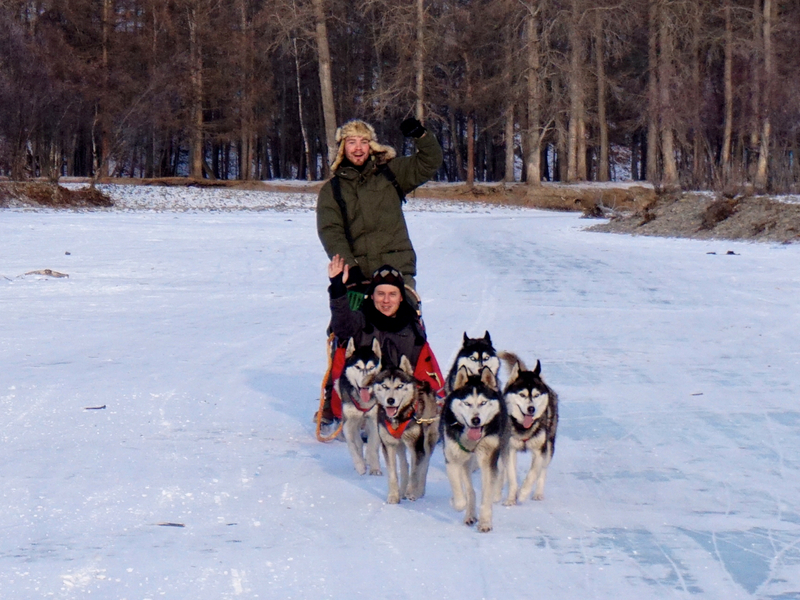 We quickly paired up and chose a sled. 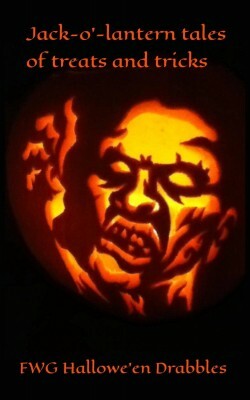 The setup was quite simple. 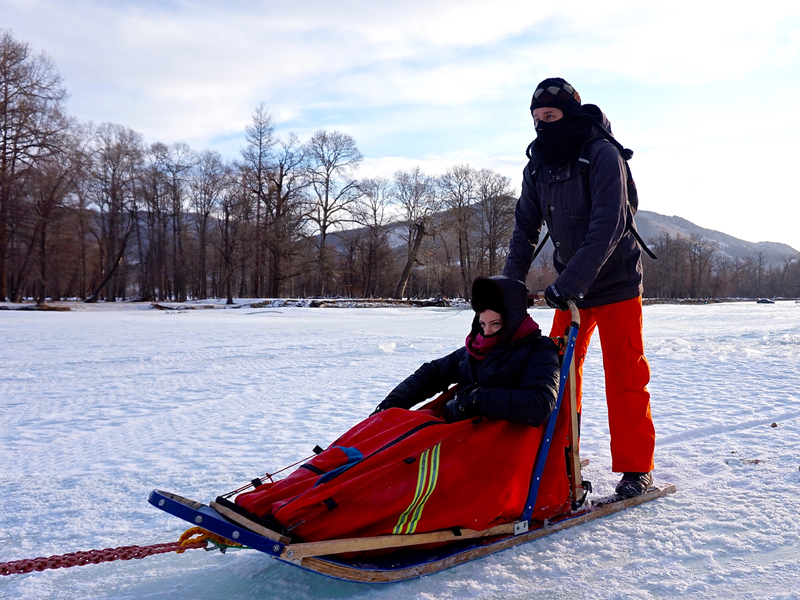 One person zips themselves into a waterproof seat on the body of the sled—the waterproofing becomes important later on—whilst the other person stands on the back in the driver’s position. 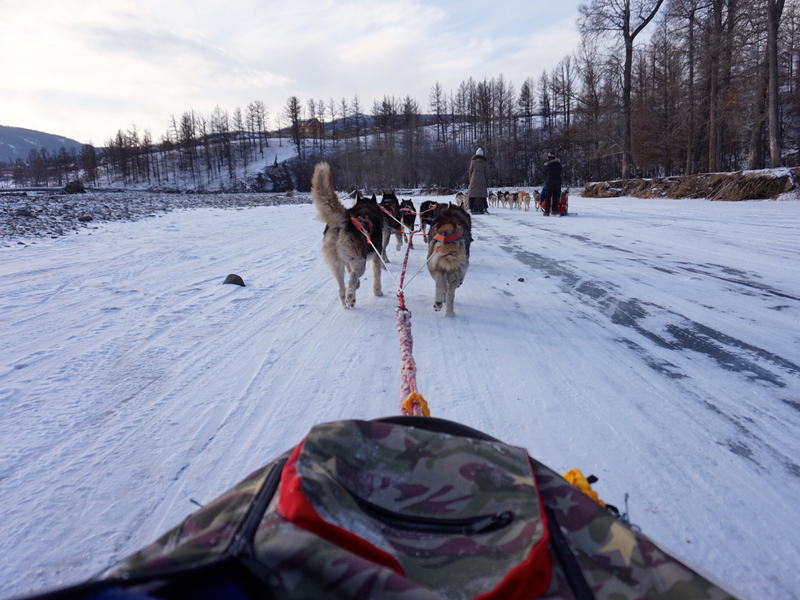 The driver leans left or right to direct the pack, to brake there’s a foot pedal that gouges into the ice, and there’s a more powerful parking break slash grappling hook on a rope when you want to stop completely. I paired up with a friend and chose the driver’s position for the first half of the journey. 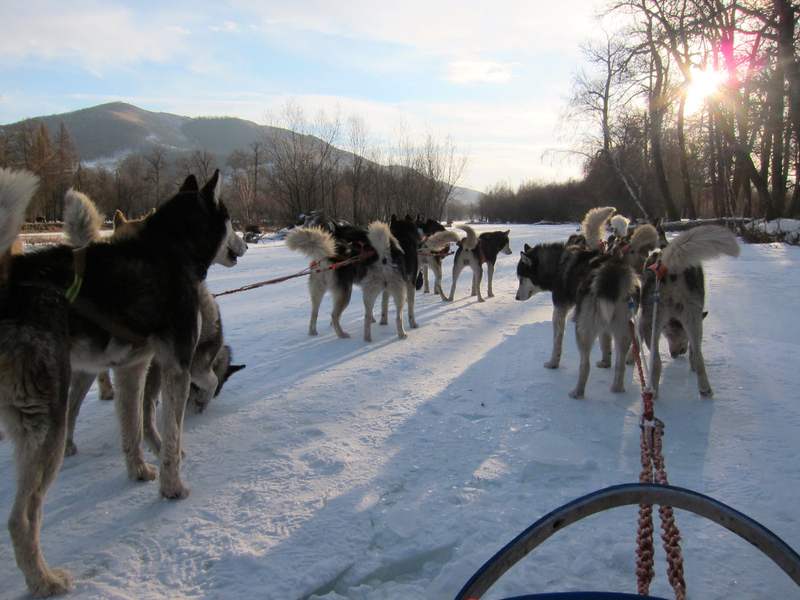 As we settled into our sleds, the dogs sensed the trip was about to start. 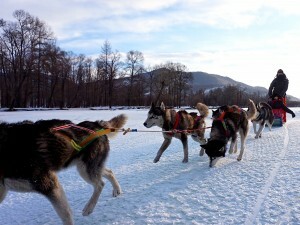 Their energy grew, with even the zero-fucks-given huskies standing up and pulling against the parking brakes whilst howling their excitement. If you’ve ever owned a husky, you know they love to run, and these dogs were ready to run. Finally, we were all ready and so I pulled the parking brake (slash grappling hook) out of the ice. 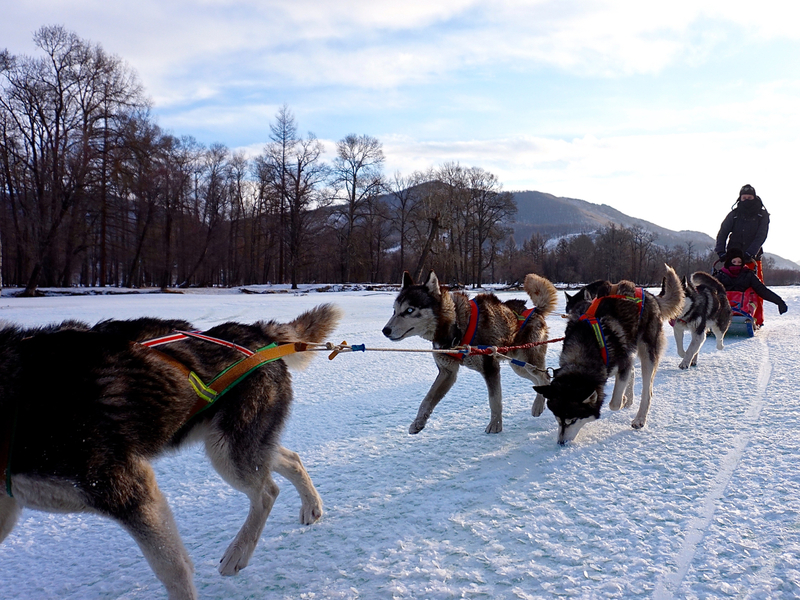 The sled leapt forward as the dogs bolted down the river. Dog sledding is a hell of a lot of fun. 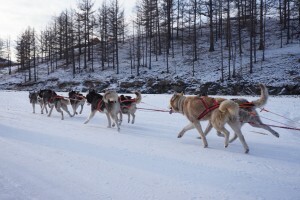 There’s very little required from the driver; the dogs pretty much know where to run. 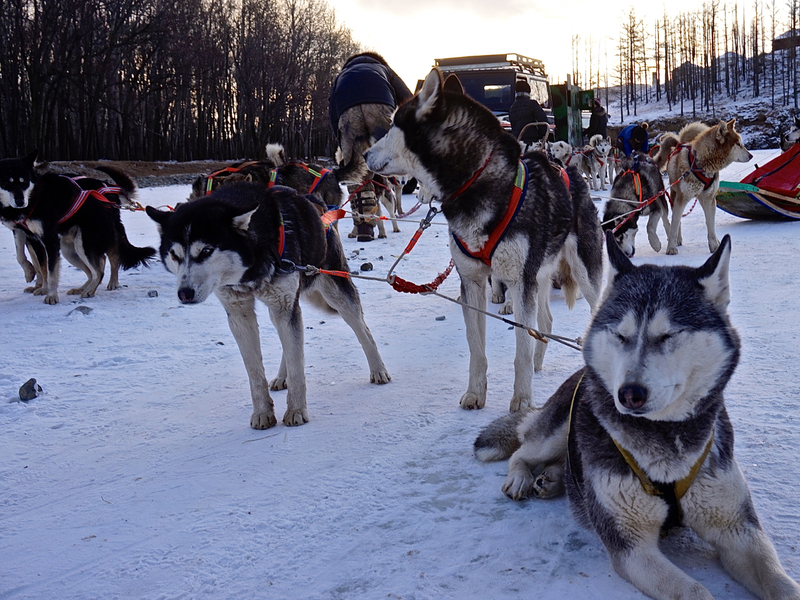 That being said, there were several moments of hilarity, including when half the dogs in our sled team decided they needed to poop and attempted to do so whilst running; poor doggies. There were also some clear tensions between the sled teams. 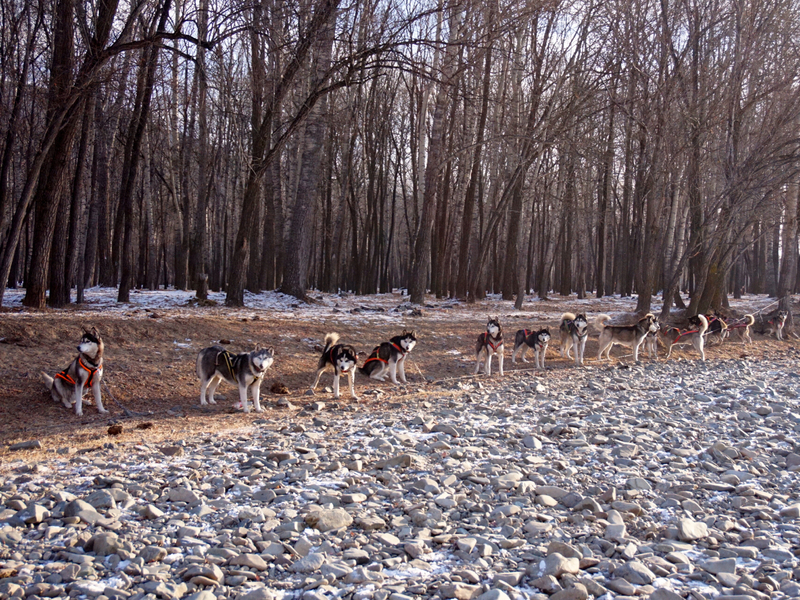 Our pack and one of the others seem to have a rivalry or ongoing feud. 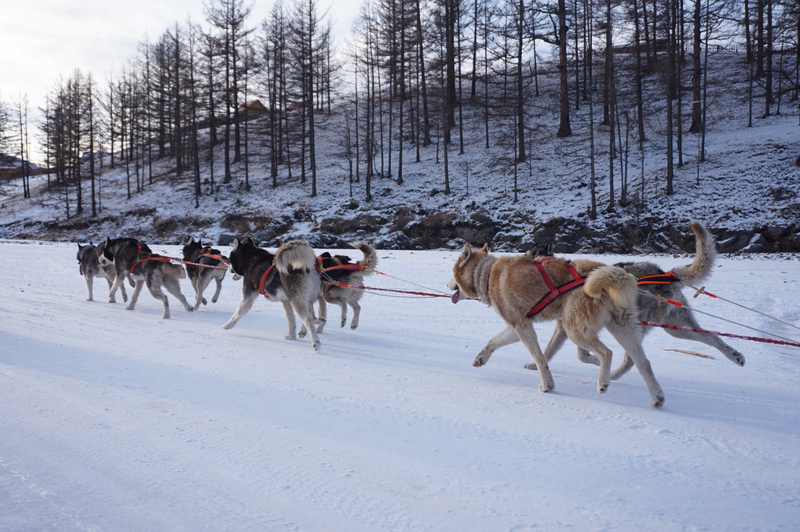 They barked and snapped at each other whenever we passed and I swear the two teams were trying to outpace each other. I said there was “very little required from the driver” but there were one or two occasions where I should have steered better. 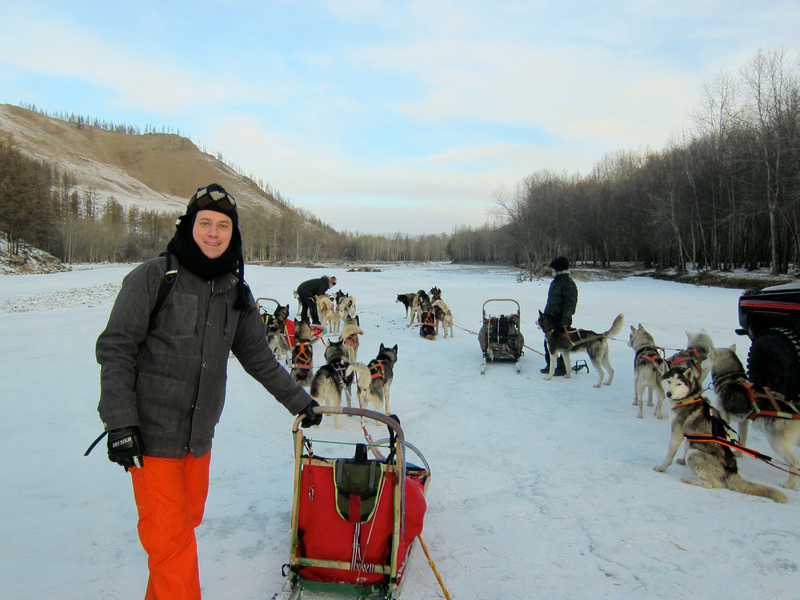 Although most of the river was frozen solid, we drove through a slushy portion, to the right of which lay a pool of ice-cold water knee-to-waist deep in parts. 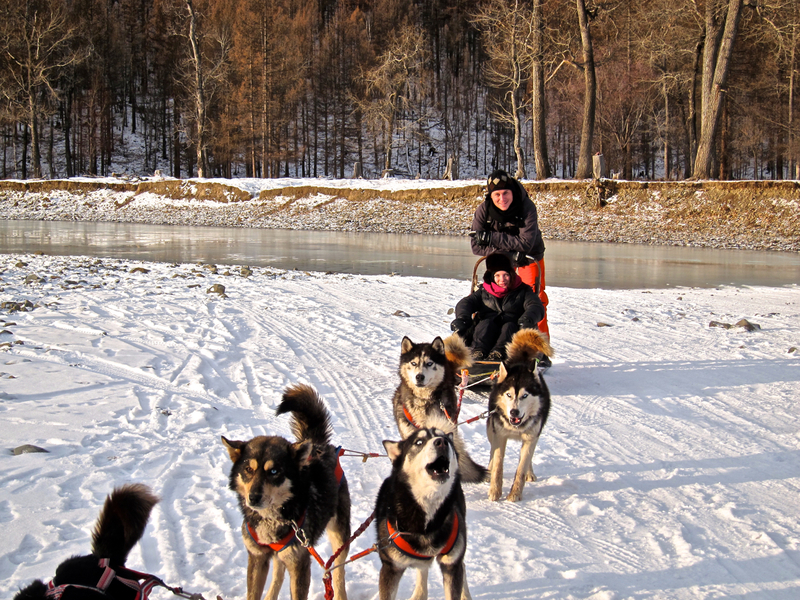 I failed to steer the dogs far enough to the left, resulting in our sled slipping sideways into the water. 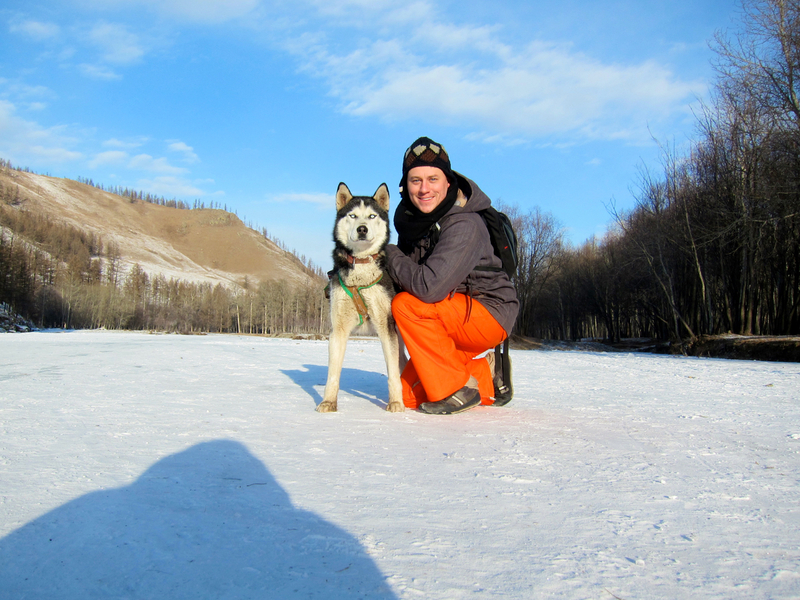 I ended up one leg knee-deep and lost my grip, falling off the sled. As I climbed out of the river shaking off the water, I watched my sled disappear down the river with my sled partner’s squeals echoing across the landscape. 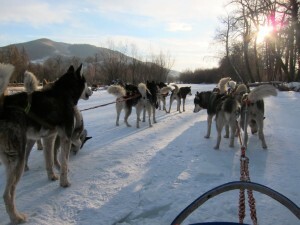 Thankfully, this incident occurred near the end of the trail, so I was able to jog along the river to catch up to the other sleds. The groups paused for a break to take photos and switch drivers before heading off again on the return journey. The ride back was a lot more fun for me as I was able to just enjoy the view and take a bunch of videos and photos. However, the journey back was not without incident. My driver managed to collide with a branch and fall off the back of the sled. 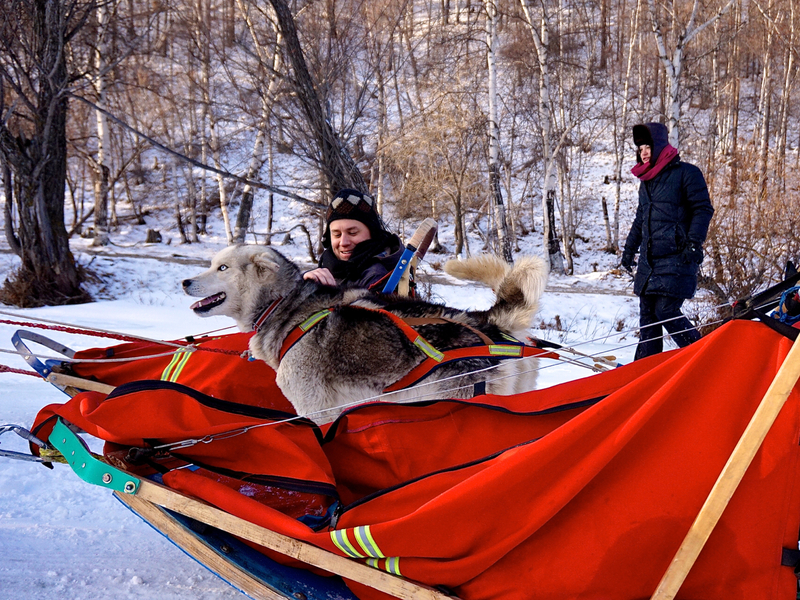 I happened to be filming at the time and in the video below can hear her screams at the exact moment she falls off the sled. I am of course sharing this for educational, not entertainment, purposes, although I’d be lying if I didn’t admit it makes me laugh. 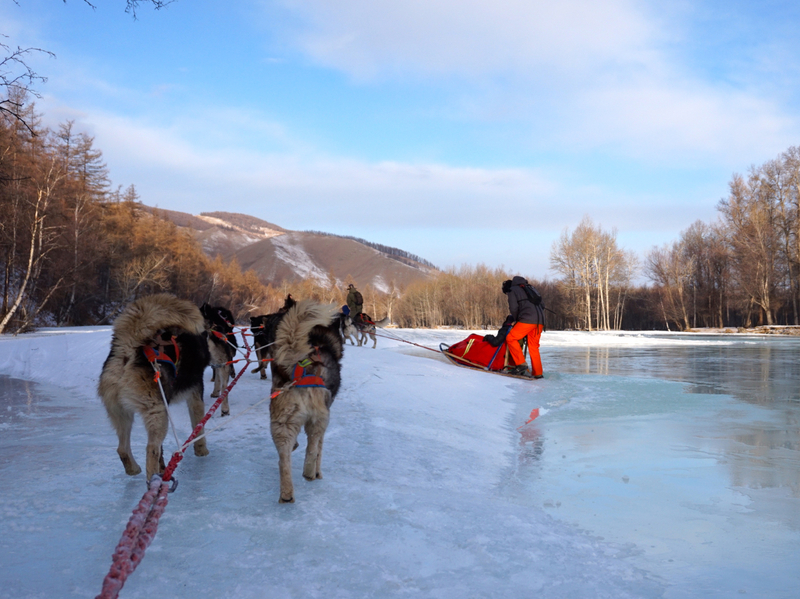 Later, we ended up sliding into the same slushy portion of the river, except where I ended up with only one leg knee-deep in the water, my sled partner went right in up to her waist. Oops. She was not alone, as a few of us has a spot of trouble around this part of the river. I ended up switching sled teams and riding home with another friend for the final leg, triumphantly returning to home base without further incident. We too a break around a campfire whilst the dogs were unhooked and put on a long chain to rest until the next group of tourists arrived. 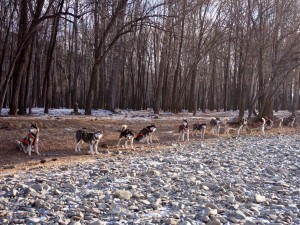 It was great to get to meet the dogs, who all had very different personalities. All in all, the entire weekend in Terelj was epic. 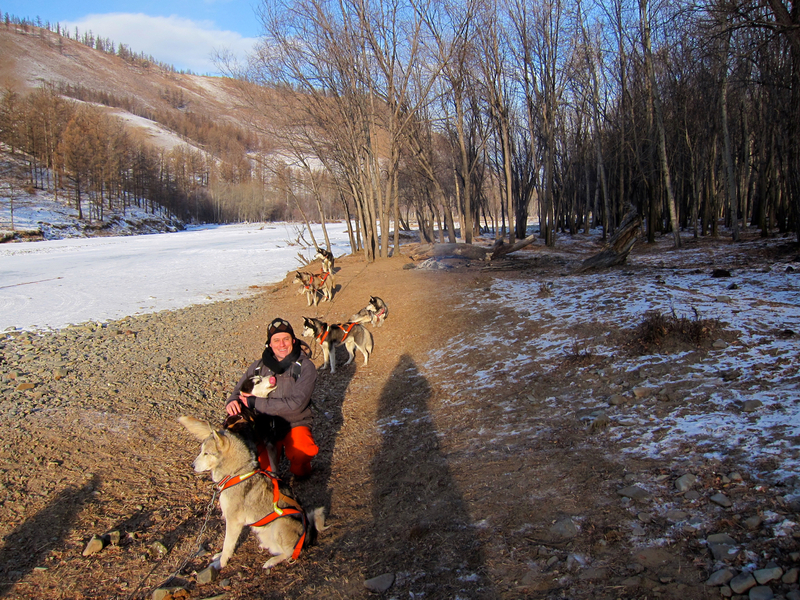 From horse-riding, to hiking, to huskies, it was a fantastic way to spend a couple of days with friends, and it further cemented my impression of Mongolia as an amazing travel destination. How much fun! 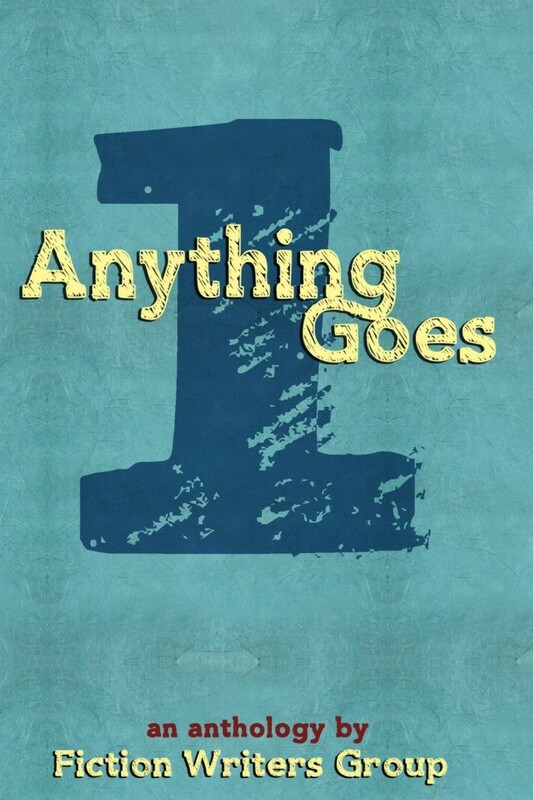 Memories for your whole life right there. And the dogs were quite the characters. I still think the puppies are so cute! ^_^ I want to hug one! 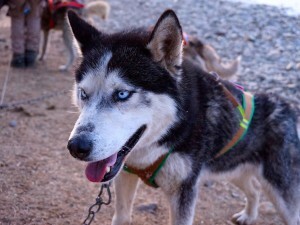 Huskies are pretty much the dog equivalent of crack cocaine. Once you hug one, you gotta hug ’em all. Oh wait, does that actually make them a pokemon?